Imagine more walks, more fetch, more fun together! 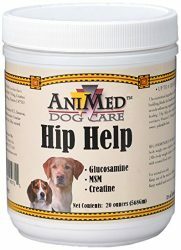 GLUCOSAMINE HYDROCHLORIDE AND CHONDROITIN SULFATE: Helps support healthy hip and joint function. NEW ZEALAND GREEN MUSSEL: Packed with omega 3 fatty acids, New Zealand Green Mussels are an excellent source of vitamin B12 and minerals, including selenium, iron, iodine, magnesium and calcium. VITAMIN E SUPPLEMENT: Vitamin E has antioxidant properties and helps to protect the cell against the action of free radicals. 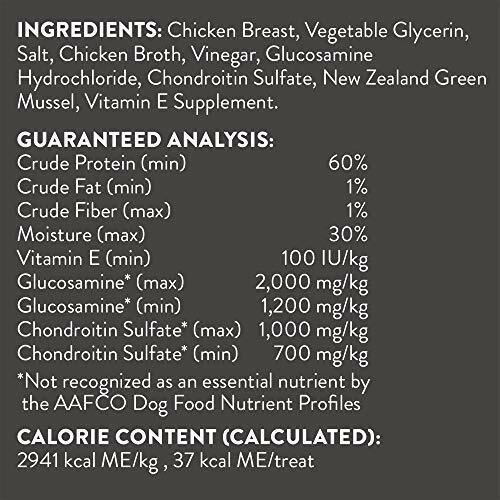 Chicken Breast, Vegetable Glycerin, Salt, Chicken Broth, Vinegar, Glucosamine Hydrochloride, Chondroitin Sulfate, New Zealand Green Mussel, Vitamin E Supplement. 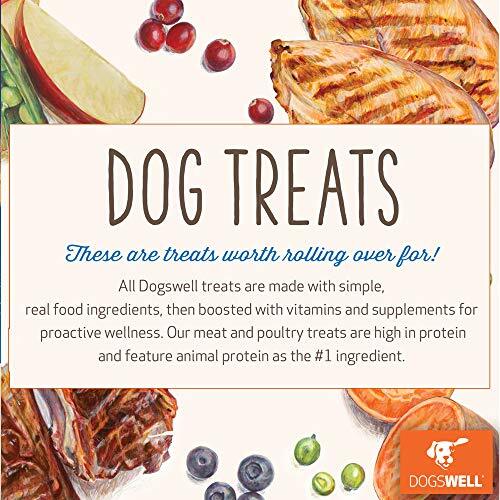 There are five delicious types and textures of Dogswell treats. You’ll easily find one that your dog enjoys. 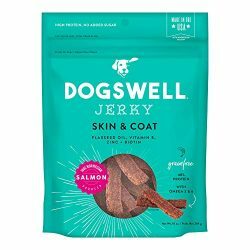 • DOGSWELL JERKY are high-protein treats made from quality cuts of meat and poultry, formed into chewy, savory treats. 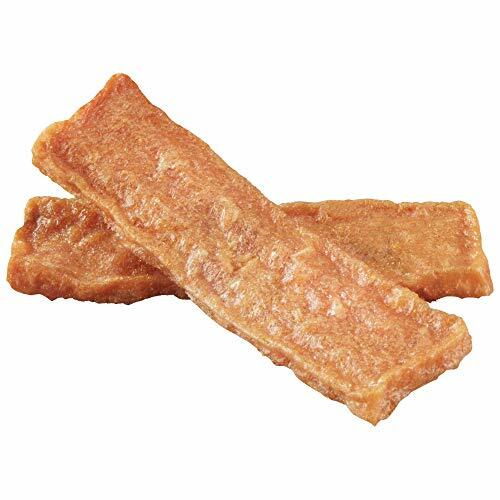 • DOGSWELL MINI JERKY offers the same meaty taste in a size made specifically for smaller dogs. • DOGSWELL SOFT STRIPS are meat-first, softer and easy-to-tear treats that are great for older or sensitive dogs. • DOGSWELL GRILLERS are natural, slow-cooked meaty treats with a smoky flavor and aroma that even picky dogs love. 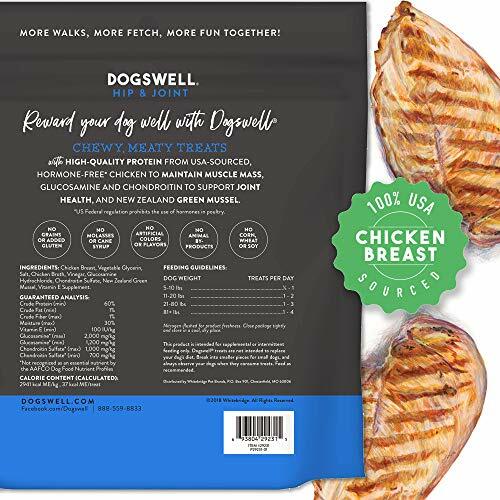 • DOGSWELL TENDERS are pure chicken breast in a chewy, natural shape. 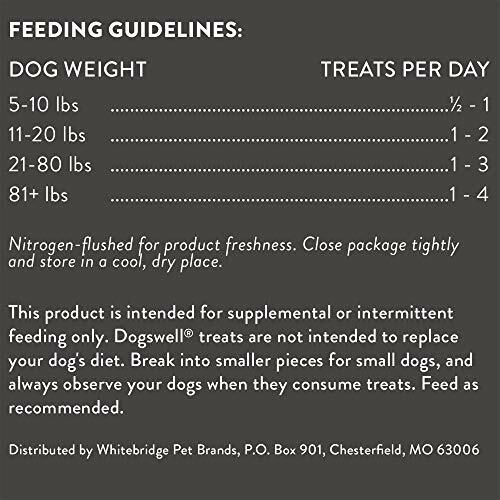 What functional benefits do Dogswell treats offer? DOGSWELL HIP & JOINT treats contain glucosamine, chondroitin and New Zealand green-lipped mussel to support healthy hips and joints. 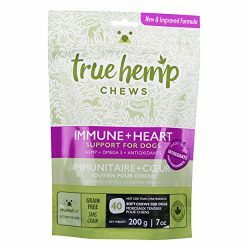 DOGSWELL IMMUNITY & DEFENSE (formerly Vitality) treats are supplemented with antioxidant vitamins A and E for vitality and a healthy immune system, flaxseed oil with essential fatty acids and turmeric. DOGSWELL SKIN & COAT treats are supplemented with zinc, biotin, flaxseed oil and vitamin E to support healthy skin and a shiny coat. 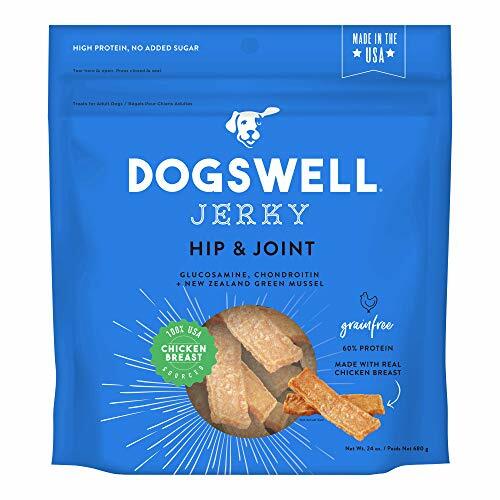 Dogswell Hip & Joint Jerky 100% real meat dog treats are made in the USA with high-quality chicken, glucosamine, chondroitin & New Zealand Green Mussel to help support hip & joint health. 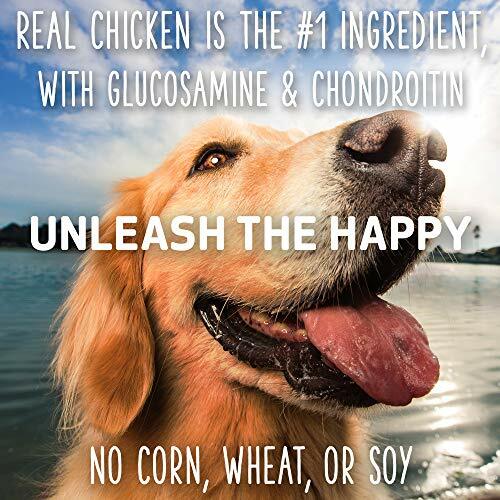 High protein with real, USA-sourced, hormone-free chicken breast as the first ingredient. Supports healthy hips and joints with glucosamine & chondroitin, New Zealand Green Mussel for omega 3 fatty acids & vitamin B12, and antioxidant vitamin E to help protect against free radicals. Grain free and gluten free with no added sugar, no artificial colors or flavors, no animal by-products, no corn, wheat, or soy. 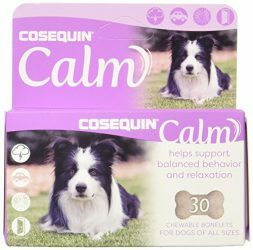 Natural Care for Dogs; Skin Soothe for Hot Spots with Rosemary and Apple Cider Vinegar; 4 fl. oz.